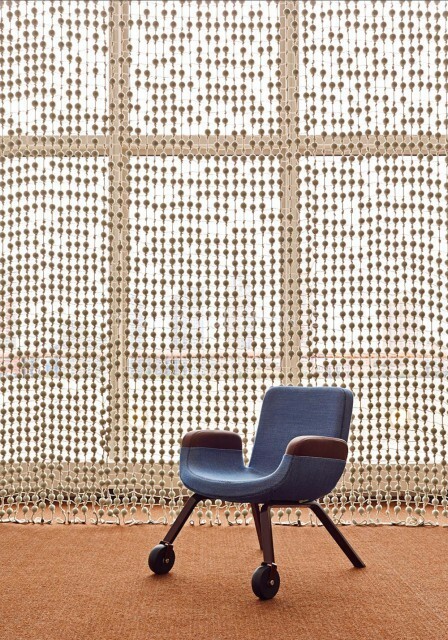 More than sixty years after the opening of the UN North Delegates’ Lounge, Hella Jongerius has redesigned the lounge together with Rem Koolhaas, Irma Boom, Gabriel Lester and Louise Schouwenberg. 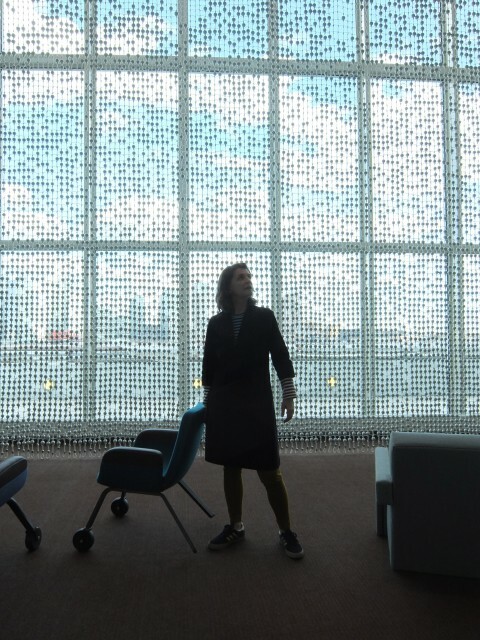 The windows of the East Façade of the UN Delegates’ Lounge are now covered with a grid curtain, which both corresponds to and contrasts with the grid curtains of the north façade. Product designer Hella Jongerius has achieved an international reputation through the combination of craft and industrial methods of production, the celebration of history, and the optimal utilization of the specific characteristics of craft production. Those themes are clearly present in the Knots & Beads Curtain. 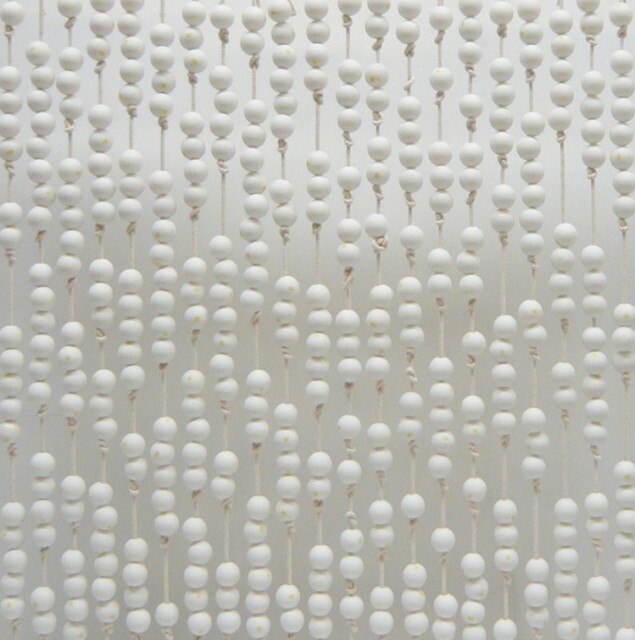 The curtain consists of knotted yarn and porcelain beads. A large variety of knots were traditionally applied in fishery; Dutch maritime history has beautiful examples from which the designer drew inspiration. 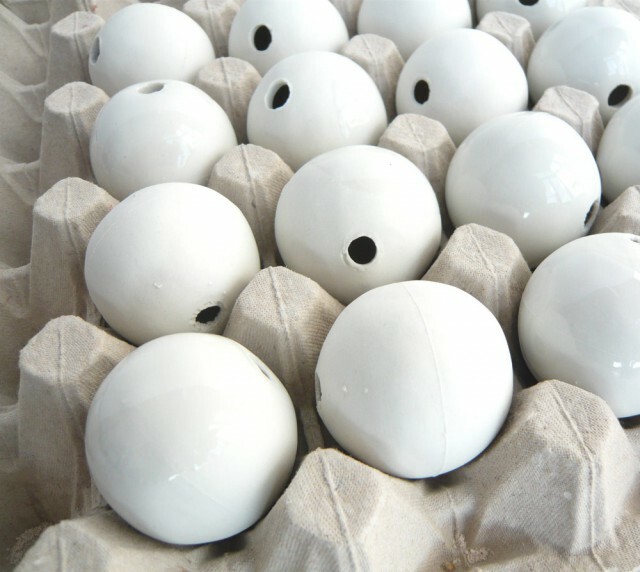 The ceramic beads refer to another rich tradition, the handicraft ceramic industry. 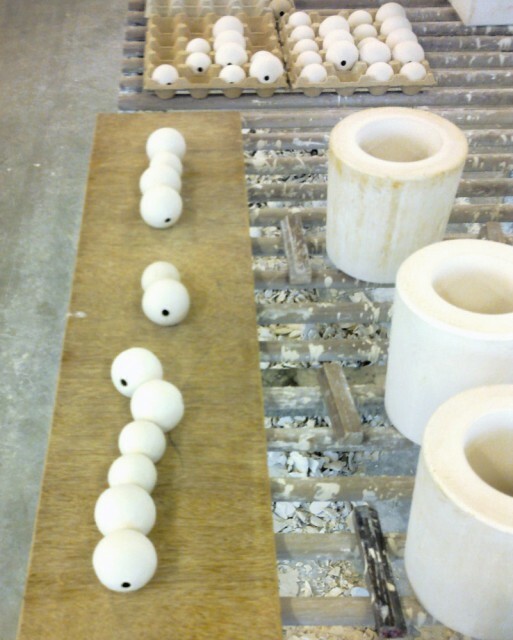 In close cooperation with the craftsmen of Royal Tichelaar in Makkum, the oldest ceramic company in the Netherlands (1572), thousands of handmade beads are made, which literally bear the visible traces of their manufacture. 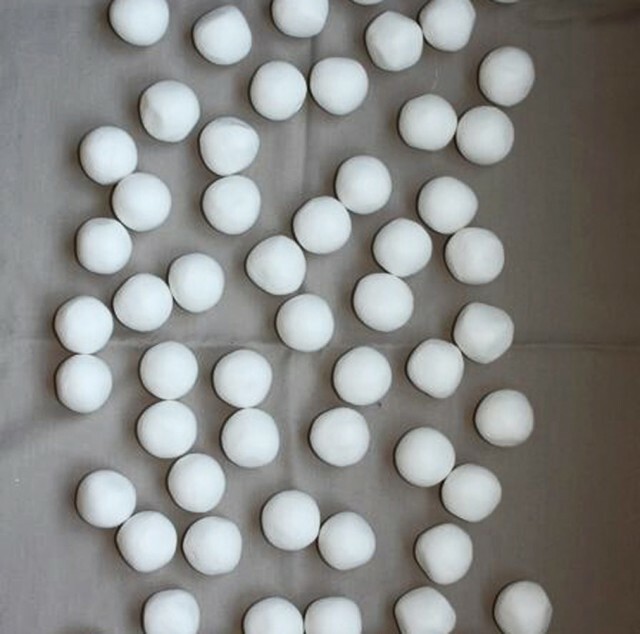 The irregularities of the knots and beads soften the severe grid pattern of the whole. For centuries Royal Tichelaar works with a special glazing method: after the objects have been fired, they are plunged into the liquid glazing substance, after which they are fired again to harden the glaze. 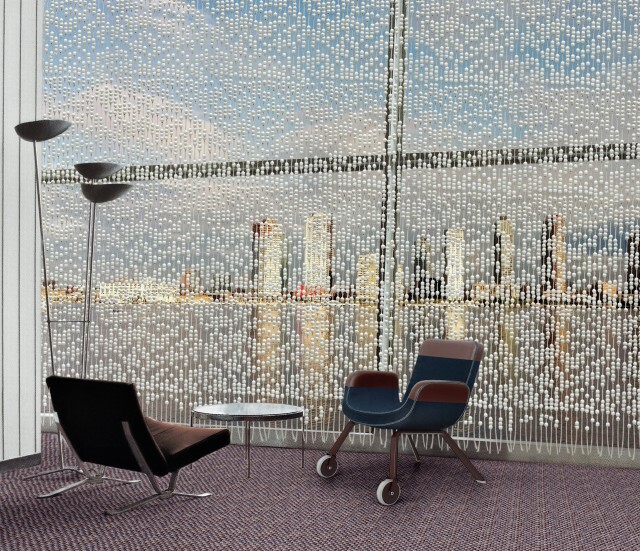 Jongerius shows that method by plunging only a part of each bead in the glazing substance. This leaves the unglazed clay visible that is excavated in the surroundings of Royal Tichelaar, which has a texture and color of its own, which are only to be found on this location. The project opens a new perspective on locality within a global context. 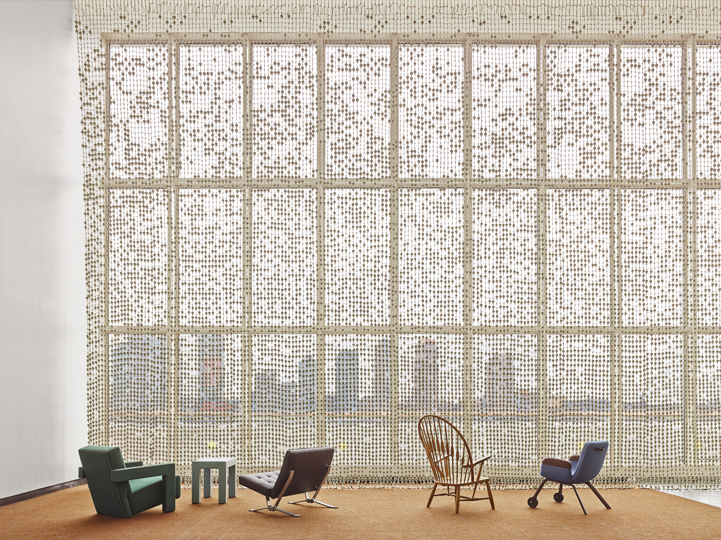 The curtain itself literally brings a piece of the Netherlands to New York. The curtain is produced by Royal Tichelaar Makkum, after a design by and in close cooperation with the designer, Hella Jongerius. 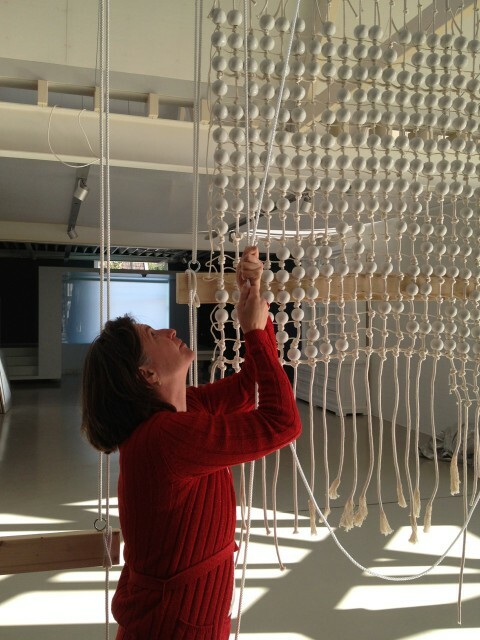 Installation of the Knots&Beads Curtain by Hella Jongerius for the UN North Delegates’ Lounge from JongeriusLab on Vimeo.